Mahesh, the Bitter is a Taken Centurion sent to claim a fragment of the Traveler during the mission Off-World Recovery. Mahesh will spawn after clearing out multiple waves of Taken near a fragmented crystal of the Traveler. 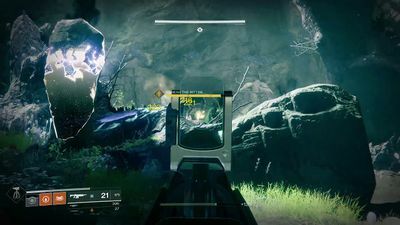 It will bombard the player with its Projection Rifle while moving around the condensed area, promoting an aggressive and careful behavior ironically. Killing this boss ends the mission and rewards the player with loot, experience, and Glimmer. Mahesh is short for the Hindu word Maheshwara, which translates to "great ruler."